Full Frontal is a warm dark brown. Glamazon a very light brown with a silver sheen to it. 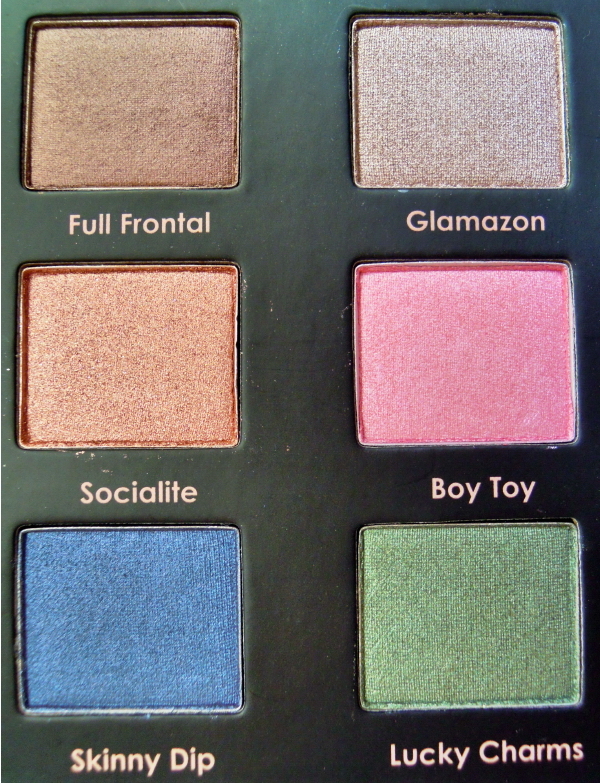 Socialite is a lovely coppery color. 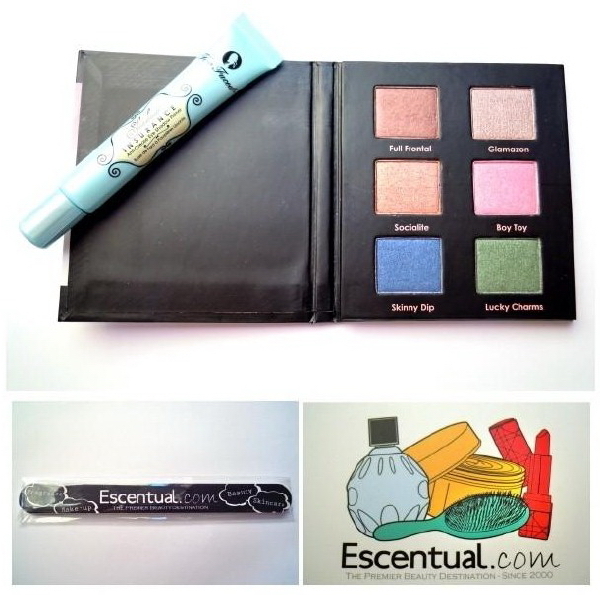 With Boy Toy you get a soft shimmery pink, while Skinny Dip is a vibrant blue. Finally there's Lucky Charms, a shimmery green. The eyeshadows have really great color pay-off and the selection in this palette is really nice, as you can create both natural looks and more colorful 'out there' styles. Additionally the primer is great, so the set is definitely worth the 27€! 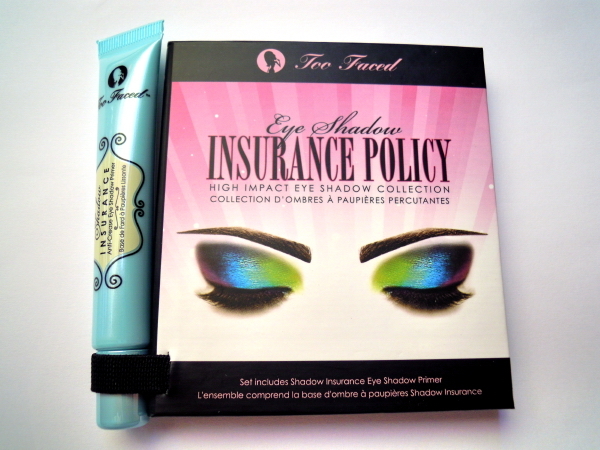 I've never had any products by Too Faced before, but I really like this, so I think I might buy one of the more neutral palettes sometime in the future. 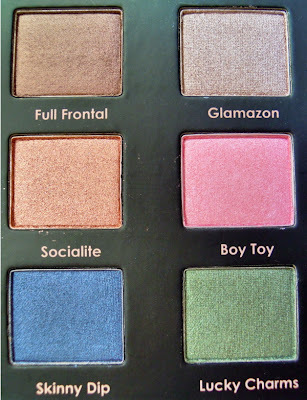 Do you have any Too Faced palettes you can recommend? They are really great! :) I just used them for a day-time-look and they look fantastic together!